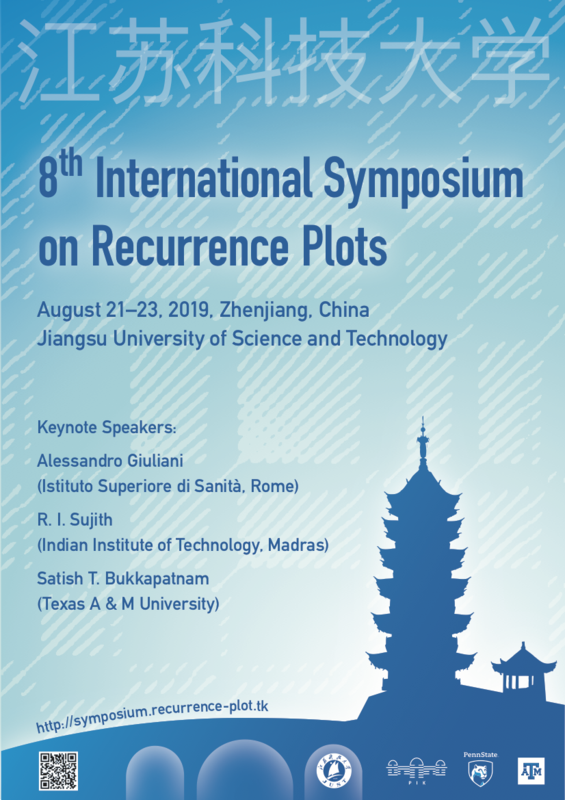 Recurrence plot symposium Zhenjiang 2019. 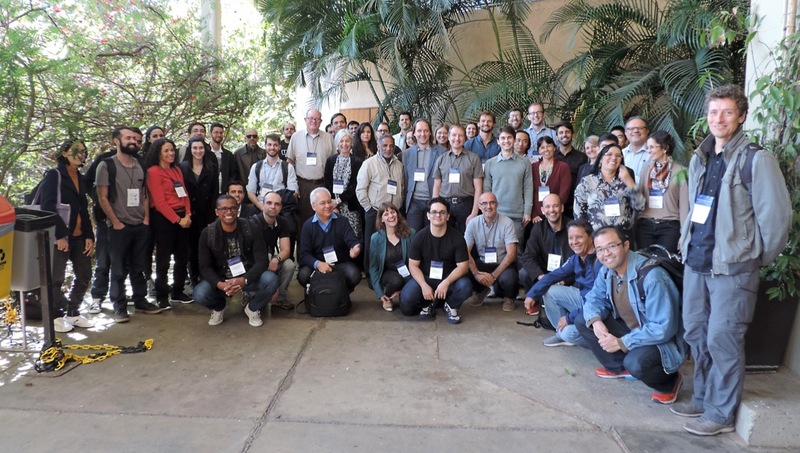 The objective of this Eighth Recurrence Plot Symposium is to encourage the exchange of knowledge and new ideas among scientists working in scientific disciplines of data analytics. 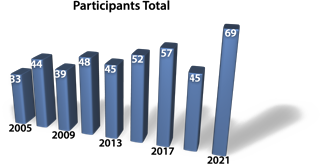 Rapid advances in sensing, computing and communication technologies increasingly lead to the proliferation of “big” data. Recurrence plots and their quantifications are general methods for visualizing and analyzing complex-structured data for the new technological innovation and scientific discovery. After 30 years we continue to witness ongoing technical developments related to recurrence plots in both theoretical and practical domains. Some of these include: linkage of recurrence plots to network theory, inferences regarding directional couplings, identification of various spatio-temporal chaotic patterns, realization of tetherings across multiple scales of emergence, etc. Applications of recurrence plots are ever-expanding into such areas like engineering, mathematics, neuroscience, physiology, psychology, weather and climate patterns, financial systems, and linguistics. This symposium will provide a unique forum to facilitate the correlation of recent theoretical developments in recurrence science with applications from various and diverse fields of inquiry. We welcome both theoretical and applied contributions that effectively implement recurrence plots, recurrence quantifications and their related methodologies. 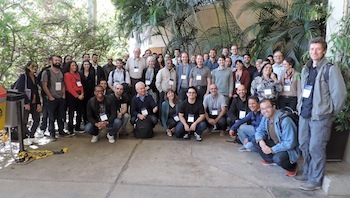 Participants of the seventh international recurrence plot symposium in Sao Paulo, August 2017 (Photo: Diogo Soriano). 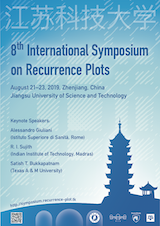 Previous international recurrence plot workshops and symposia were organized 2005 in Potsdam (Germany), 2007 in Siena (Italy), 2009 in Montreal (Canada), 2011 in Hong Kong (China), 2013 in Chicago (USA), 2015 in Grenoble (France), 2017 in Saõ Paulo (Brazil).